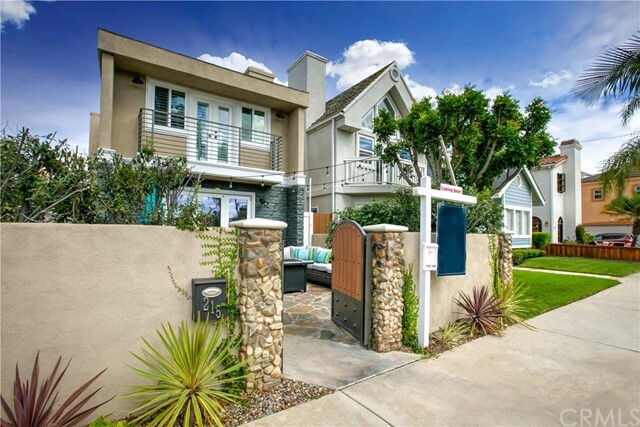 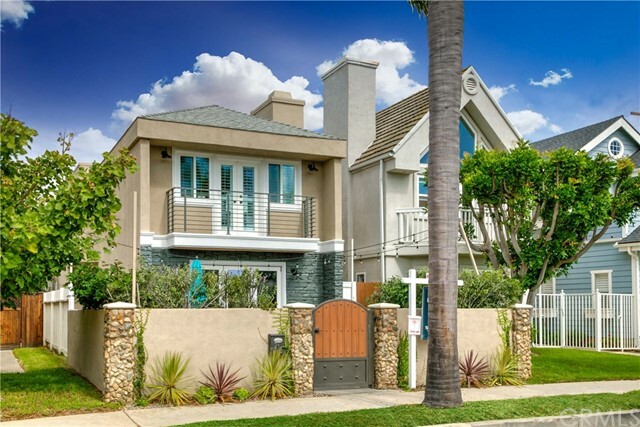 Beautiful Contemporary Huntington Beach Home. 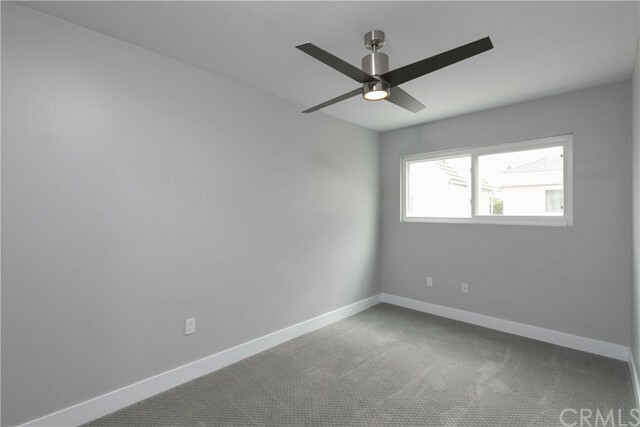 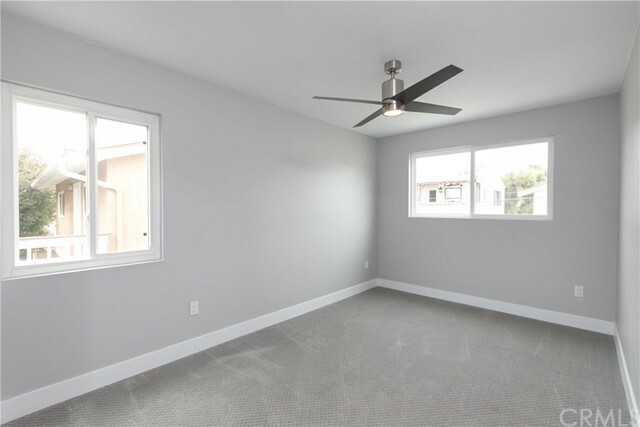 Just completed remodel with expanded layout & additional permitted square footage! 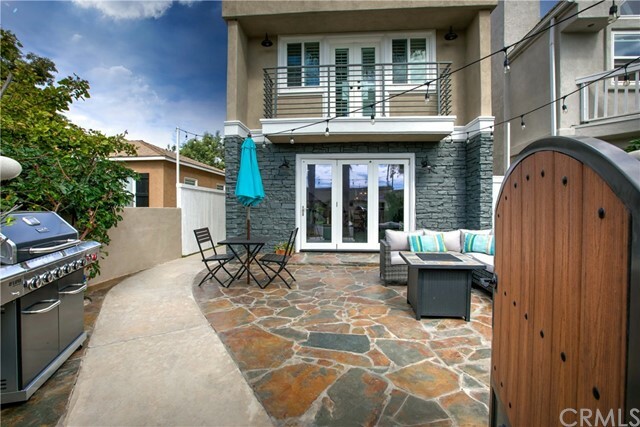 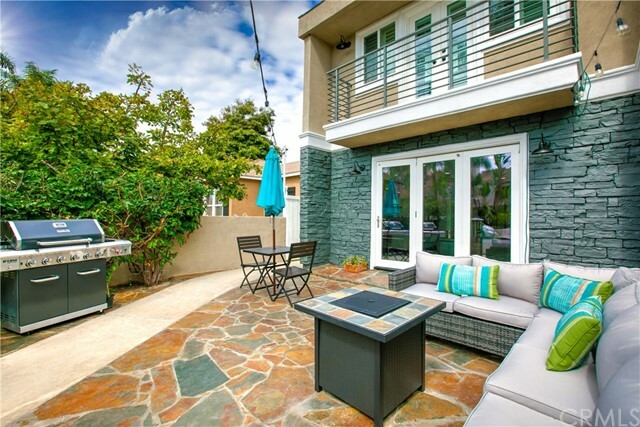 Large front patio perfect for entertaining. 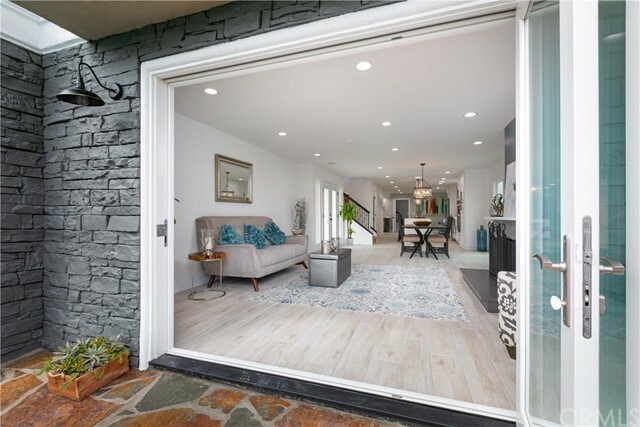 Tri-fold doors open from the living room making this a truly magnificent indoor outdoor living experience. 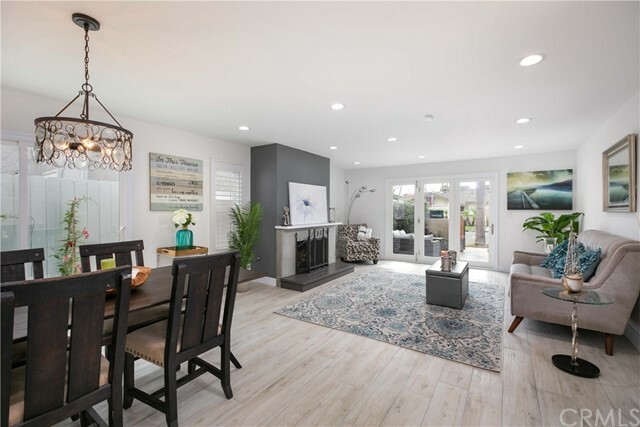 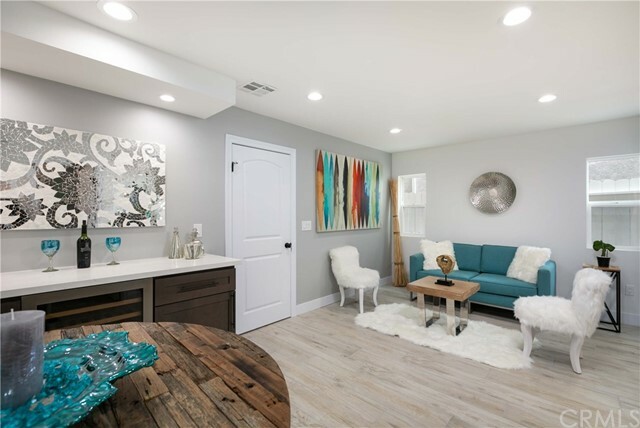 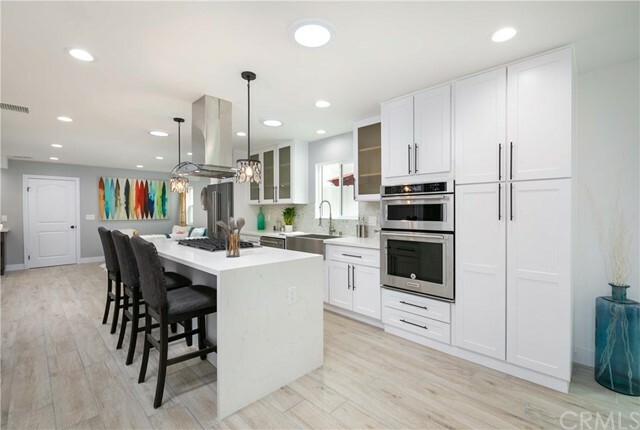 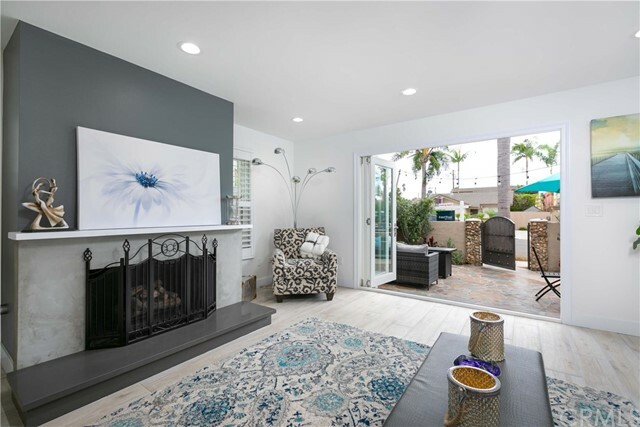 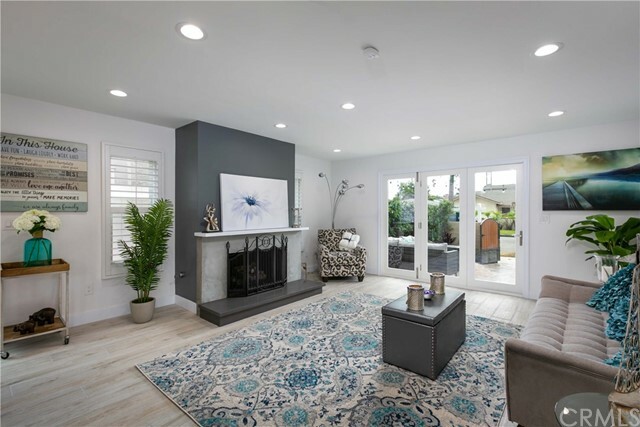 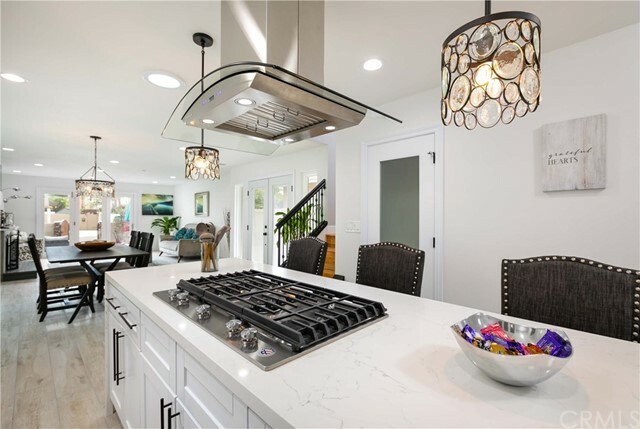 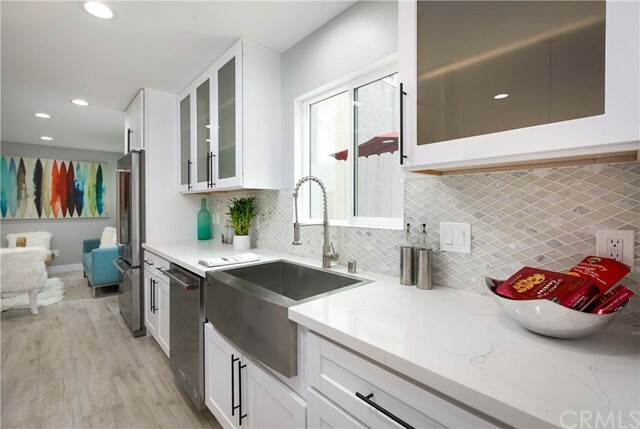 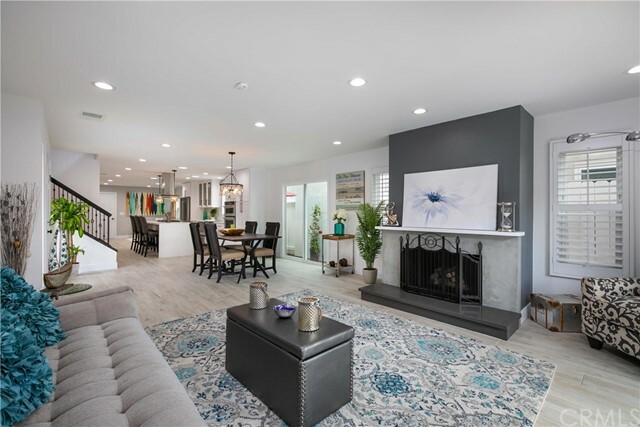 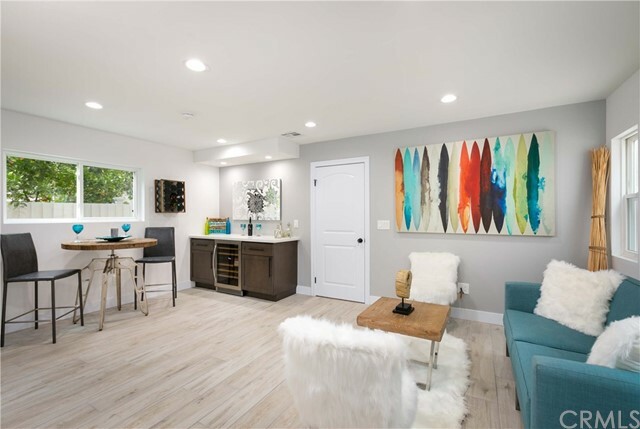 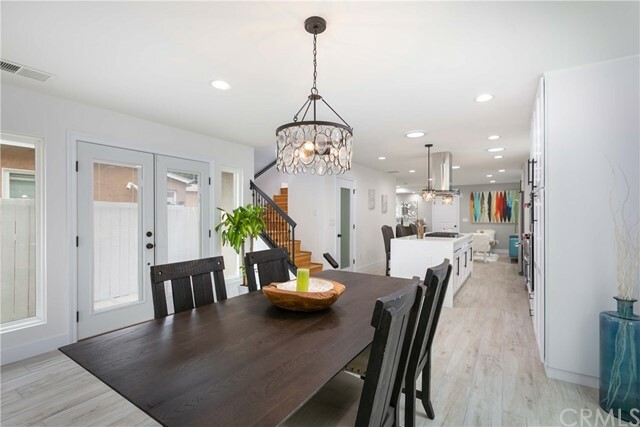 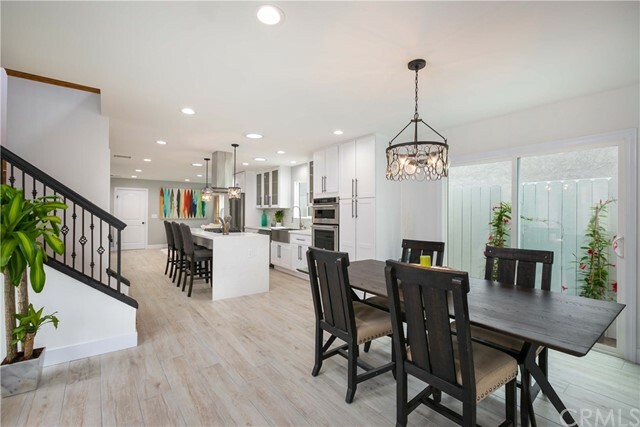 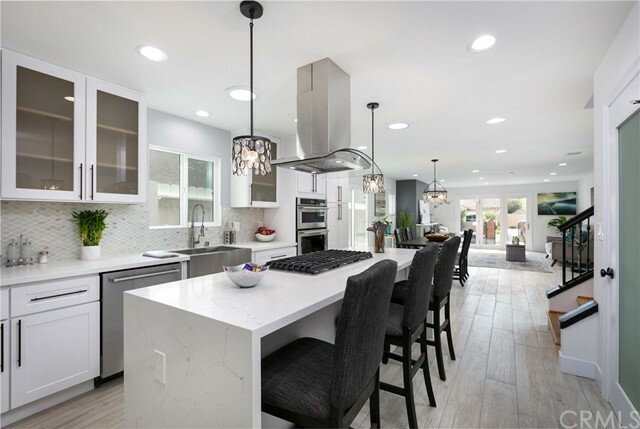 The stunning 1st floor includes a massive great room with Italian porcelain tile, upgraded chef's kitchen with KitchenAid appliances (36" stove-top, dishwasher, & double oven/microwave combo w/ convection), custom soft close white shaker cabinets & drawers, with glass & marble back-splash. 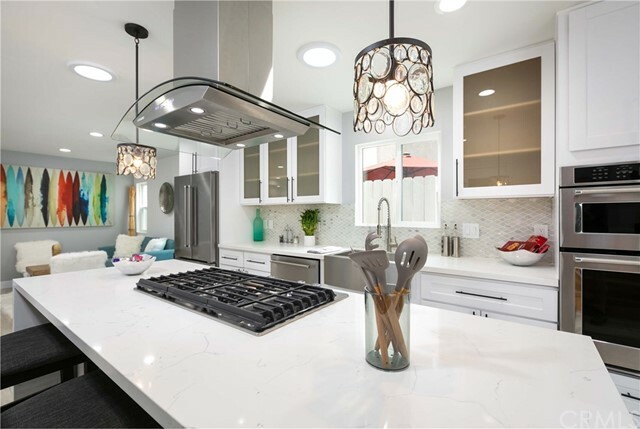 All this is complimented by the gorgeous quartz counter-tops & island with waterfall. 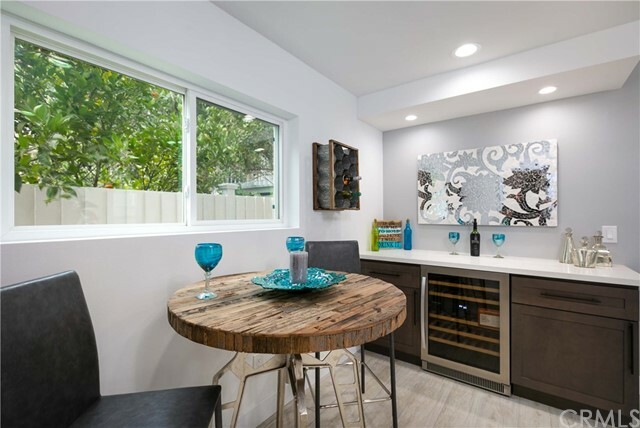 Additionally, the main floor includes a half bath, dry bar with wine refrigerator & inside laundry room. 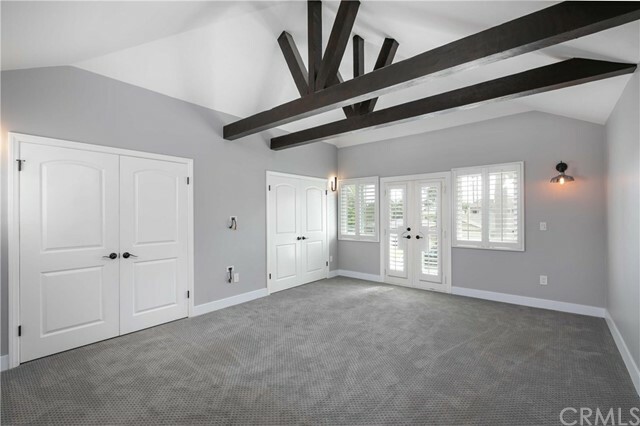 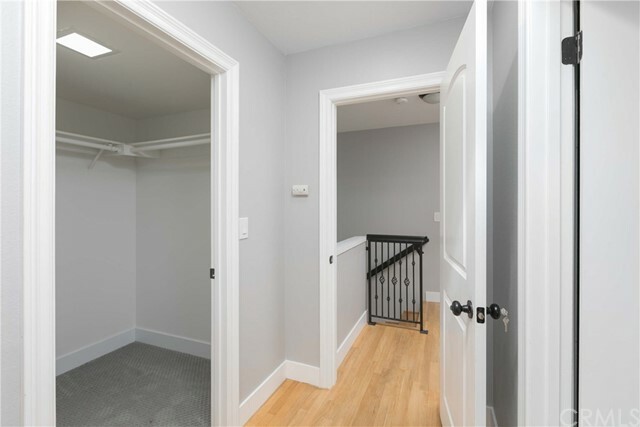 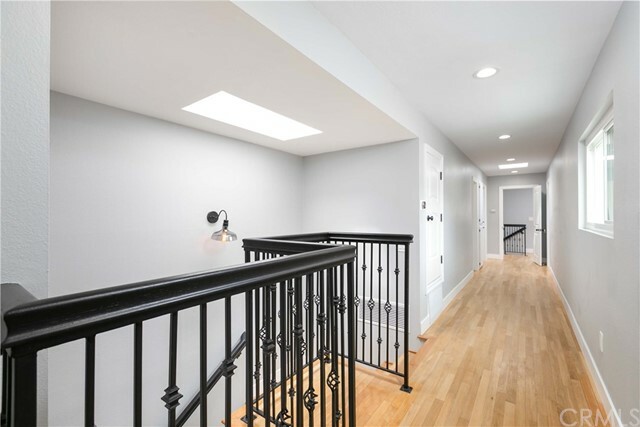 2 staircases lead to the 2nd story with refinished oak floors (one staircase leads to a private entrance through a side door). 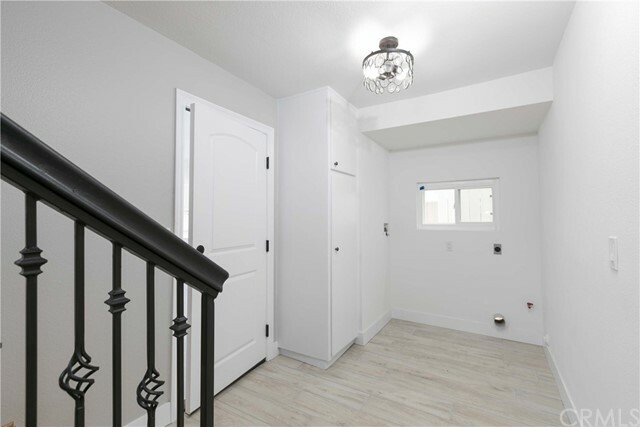 Once upstairs, you will find 4 bedrooms and 3 bathrooms. 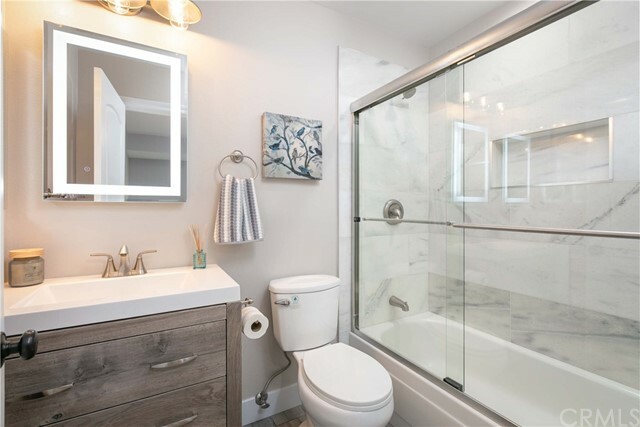 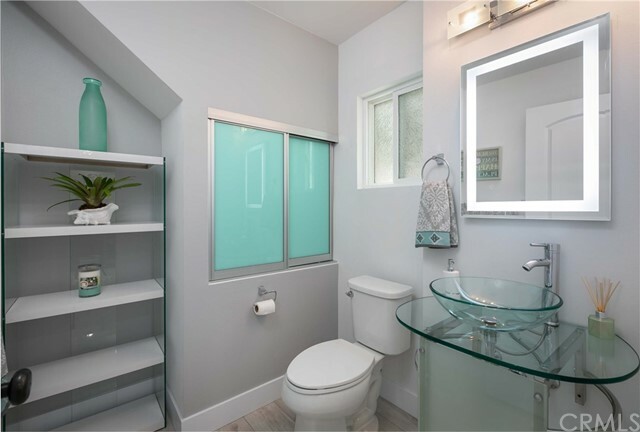 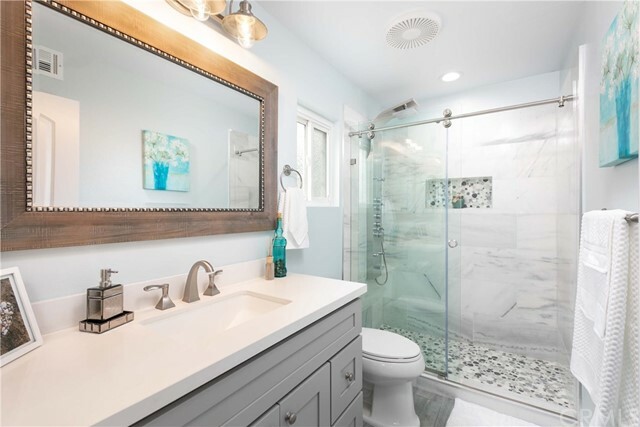 Bathrooms include marble tile and counters, back-lit touch vanity mirrors, and Bluetooth speakers. 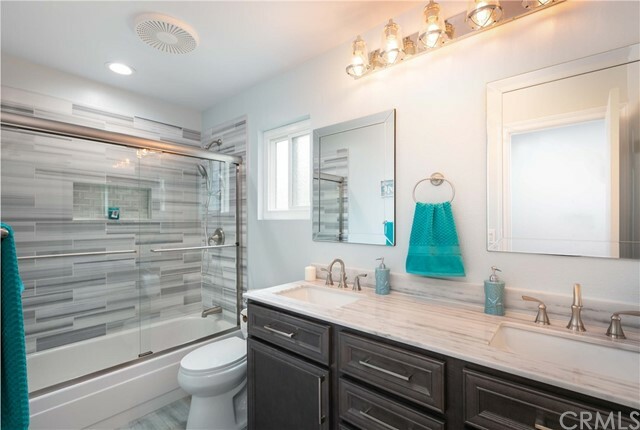 The master bath showcases a 6 function shower panel perfect for relaxing after a long day. 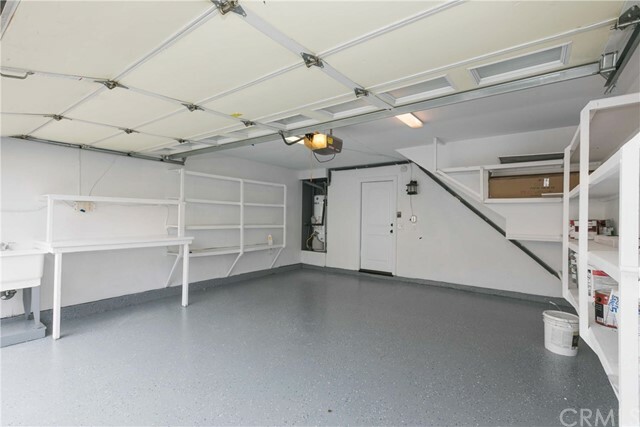 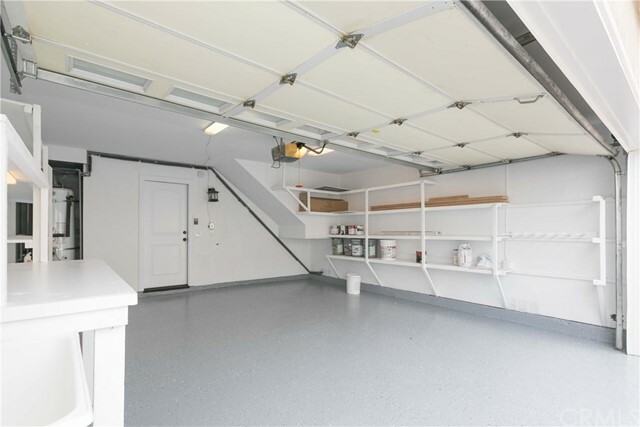 2 car garage with additional 2 car parking pad, solar lights & skylights, Nest thermostat & Ring doorbell + floodlight included. 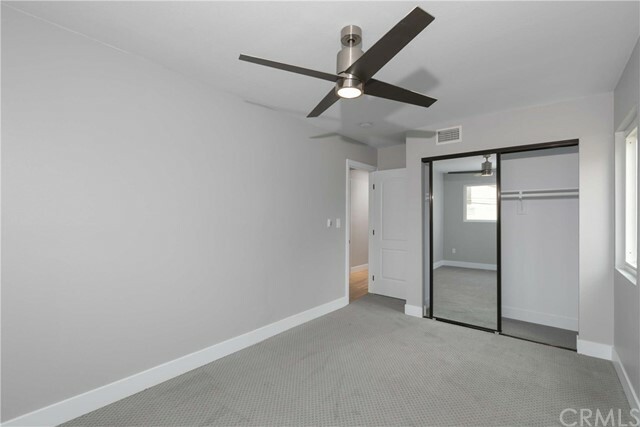 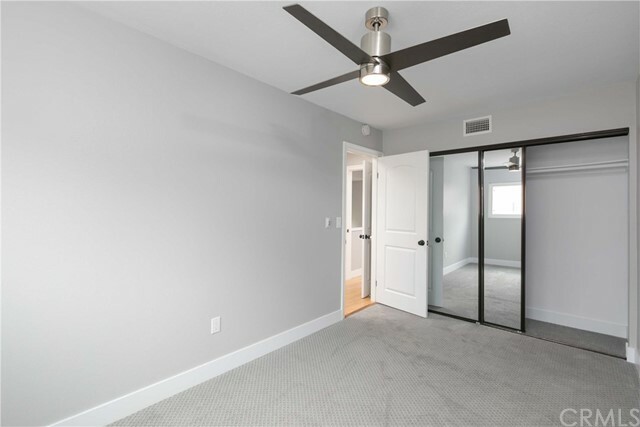 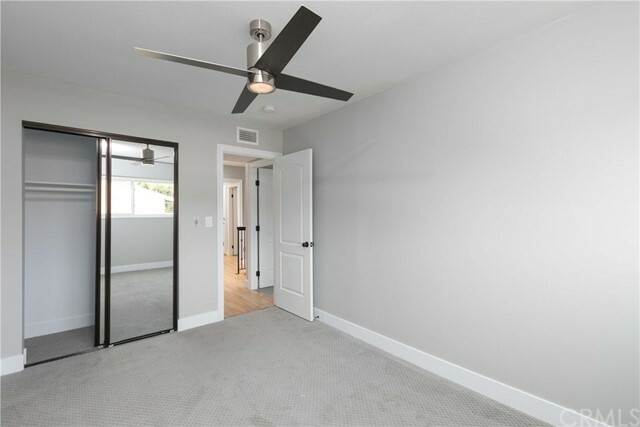 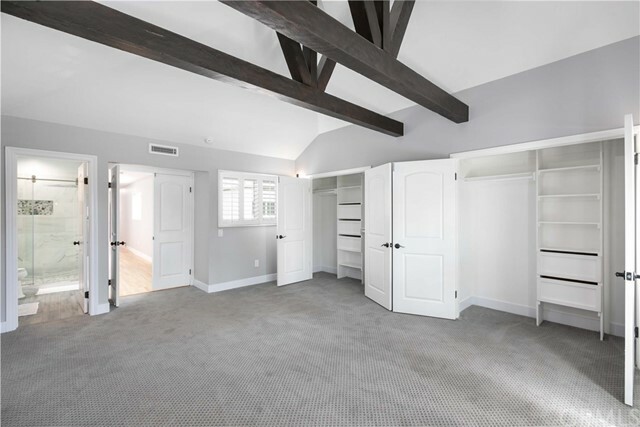 The Master bedroom offers high beamed ceilings & balcony with double doors. 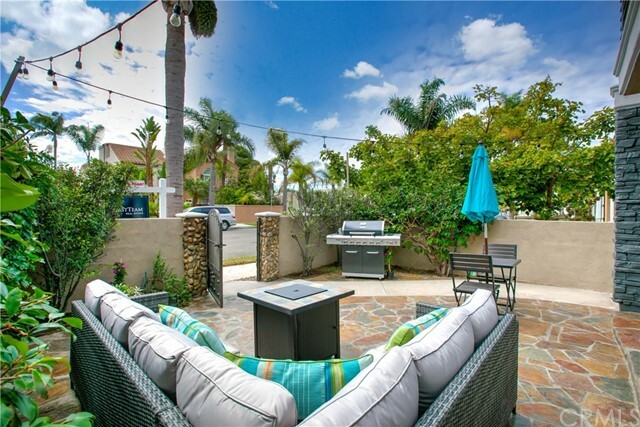 Potential to create a rooftop deck! 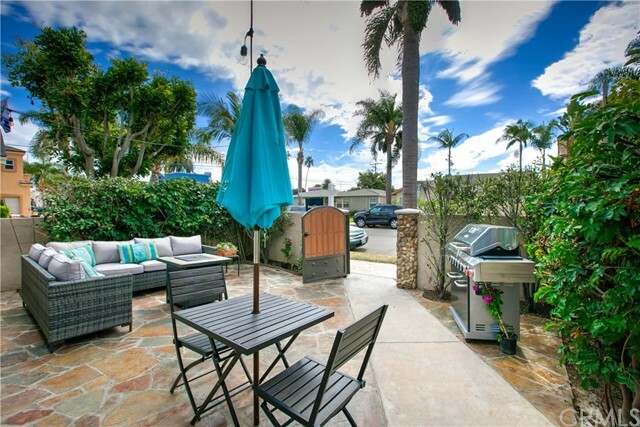 Short walk to nearby parks & a bike ride to the beach.